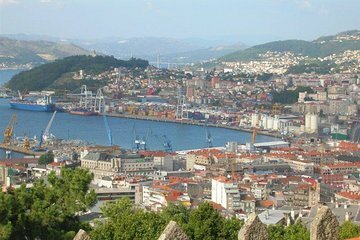 Hear tales of Celtic warriors and Spanish colonists as you stroll the streets of historic Vigo on this private 5-hour walking tour. Escape the tourist trail as you explore a 15th century fort; soak up the atmosphere in the O Berbés fish market and get a taste of local life in the Jewish Quarter. Then, discover the lively Old Town, sample local specialties (own expense) at the La Piedra oyster market, or re-fuel with a glass of 'Albariño' and some traditional tapas (own expense). Tour start can be customized to fit your needs.